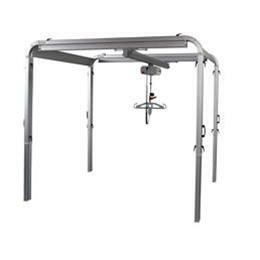 Multirall Portable/Reversible Overhead Lift System is a simple, portable overhead lift unit that does not compromise on safety or function. In addition, Multirall works perfectly as a room-to-room lift. Liko’s Quick-release Hook system is the key to Multirall’s flexibility. Hang Multirall in a carriage directly on the rail system. It works exactly like a conventional overhead lift. Mount it the other way, with the strap connector attached to the carriage, and Multirall becomes readily portable. In addition, it enables room-to-room transfers with only one lift unit.